One of the synergies of combining 3D scanning with 3D printing is the ability to create physical replicas of real-world objects with true likeness to the original. In this tutorial, we are going to demonstrate the 3D scan to print process by taking a squirrel skull and making it twice the original size. The intention is to enlarge the skull so it can be examined in greater detail. The squirrel skull measures approximately 2.25 inches, which is a relatively small object to scan. If you need to capture small objects into 3D in fine detail, in terms of getting the best resolution and accuracy, using a macro 3D scanning would be your best choice. A macro 3D scanner is designed specifically for scanning small objects. In order to obtain the best quality results, the Metron Macro 3D scanner was used in the scanning portion of the project. FlexScan3D 3D scanning software comes with the Metron Macro 3D scanner. It captured individual 3D scans and merged them together into a complete digital 3D model. However, in this instance, Geomagic Design X was chosen instead for advanced post-processing the scan data. Why use Geomagic Design X? The squirrel skull contained lots of very thin walled sections as well as small intricate holes. These features are likely too complex and unnecessary for the 3D printer to replicate. FlexScan3D has great hole filling tools and could have done a fairly decent job. When it comes to thin wall data and intricate data selection, Geomagic Design X has a more comprehensive toolset. Instead of just filling holes, with Geomagic Design X you can build up and create new materials that were previously flat or empty in order to make a good 3D printed model. FlexScan3D does not have the ability to create more materials. In this instance, Geomagic Design X has a slight edge for post-processing this particular squirrel skull 3D model. For objects simpler than the squirrel skull, FlexScan3D would have been more than sufficient. What is a watertight model and why do we need it? When we talk about getting a watertight mesh file for 3D printing, this means that the 3D model needs to be completely sealed. There should be no holes and all parts of the model have been connected properly to create a sealed solid. The word “watertight” means that if you put water inside the model, water will not leak out. Geomagic Design X and FlexScan3D software can make watertight .stl models from 3D scanner data for 3D printing. If you don’t have a watertight model, your 3D printing job will be unsuccessful. Since 3D printing sometimes can take hours to print depending on the complexity of your object, it is best to make sure your file is properly constructed before you enter into the final 3D printing stage. If you have a bad file, your 3D printing job will get messed up. Hours will be wasted and you would have to start all over again. Double-check that your file is watertight. We are now ready for 3D printing. Airwolf Axiom 3D printer 3D printed the model in PLA material. Built on top of Cura’s open source slicing engine, Apex 3D printing software was developed exclusively for Airwolf printers and is optimized to make 3D printing a straightforward process. The software easily creates a customizable print job that allows for the most efficient printing of the skull. The 3D printer uses precise electronics that allow for accurate printing, getting the tiniest of details printed. Together, the combination produces a beautiful result that is dimensionally accurate and robust. Open APEX and select your Airwolf 3D printer. Choose your four simple Quickprint settings (Filament, Print Quality, Print Support, and Platform Adhesion). Save your GCode and you’re ready to print. It is relatively simple to 3D print using the Airwolf Axiom 3D printer. It took about a little more than 10 hours to 3D print the skull using high quality settings. It slowed down the printing process, but it would produce better results than using normal settings. Overall, we are happy with the final 3D print. We are able to print the squirrel skull in great detail, especially around the eye socket, teeth, and the areas around the mouth. The jaw piece is also firmly attached to the model whereas the physical skull is in two pieces. The detailed model accurately represents all the features of the skull that is also robust and durable. Now that we gained a good understanding of the process, let’s examine how this process is put into real-life uses. 3D scanning and 3D printing can be beneficial for restoration efforts, particularly for cultural and art preservation. Precious pieces that represent our history are often destroyed with time or destruction. They require special maintenance and repair to preserve our history. The restoration process involves scanning the remaining artifact, reconstructing the missing pieces using 3D modeling techniques, and finally recreating the missing pieces physically with 3D printing. Capturing 3D images of the authentic piece. Recreating missing fragments to create complete artifact. Sometimes, a duplicate or similar object can be used as a reference for scanning and modeling the missing pieces. Missing parts are 3D printed and adhere to the original piece to make it whole again. Funeral Busts dated back to the second century AD were severely damaged with hammers when Isis terrorists rampaged through the archaeological site and museum. The busts, one man and one woman, was taken back to Rome where cultural heritage experts from the Italian Institute of Conservation and Restoration spent time repairing the damaged bust. The restoration efforts involved using a 3D scanner to capture the shattered faces into 3D and 3D printer to print the prosthetics. Gisella Capponi, director of the Italian Institute for Conservation and Restoration. 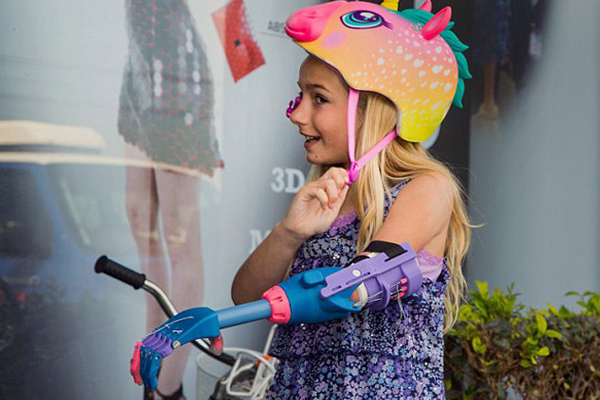 The prosthetics are removable and can be replaced with the original missing piece if they were ever found. Artefacts and fossils are often fragile, irreplaceable, and priceless, which makes it impossible to be handled on a constant basis. Researchers can use 3D scanners to capture the original specimen into 3D digital form and then 3D print them for a thorough in-depth analysis. We as humans are tactile in nature. Once an object is 3D scanned into a digital 3D model, the way we interact with a physical model is completely different than interacting with the model on screen. We can gain more insights by seeing and touching a physical tangible 3D printed model because it is often easier than looking at digital scan data. At the University of Southern Queensland, Professor Bryce Barker in the Department of Anthropology gives off-campus students the opportunity to get practical hands-on lab experience which is essential to learning the course. 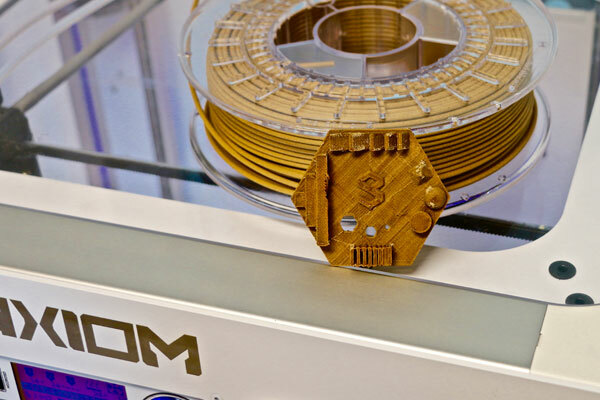 Students will be able to handle the 3D printed specimens in their home while getting a guided tour from the professor through online course materials to improve the way students learn. The cost of 3D printing the specimens and shipping to their homes would be much cheaper than bringing the distance and online students physically into the university (in terms of cost of travel, accommodation, etc.). The art of sculpture making can be further enhanced with the use of 3D technologies. 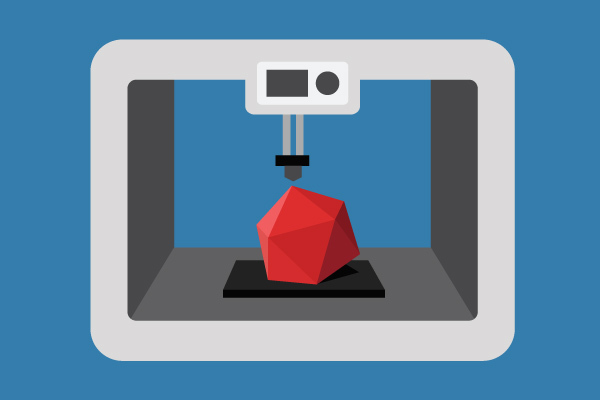 Object replication using 3D scanning isn’t just restricted to the use of a 3D printer. To expand the list of material choices for producing the final sculpture, 3D scanned data can be exported for use on a CNC machine (using wood or plastic) or for a molding process (bronze casting). Typically, artists choose to work in clay first. Once the sculpture is complete, it is 3D scanned, scaled to the appropriate size (enlarge or reduction), and produced in the finishing material. Sculpting the piece in clay. 3D scanning the sculpture into 3D digital form and making any necessary modifications. Produce the final sculpture in the desired materials as specified by the artist. Commissioned by the Schweizerholz (Swiss wood) initiative and the Swiss Federal Office for the Environment, figurative artist Inigo Gheyselinck created wooden figures of famous Swiss people to make history come alive and to show what a great material wood is with the #WOODVETIA campaign. The purpose of the campaign was to raise awareness of the benefits of wood, which is biodegradable and an eco-friendly material for construction and furniture production. Gheyselinck modeled the famous heads in clay. He scanned the clay sculptures and found human models which was also 3D scanned to compose the body. After scanning his clay sculptures using Artec Eva, the digital 3D models were then exported to CAD-compatible CNC milling machine for creating the sculpture in wood. CNC has the ability to machine soft woods at high speed. 3D scanning broadens the use of 3D printing by expanding the number of things you can do with a 3D printer. Hopefully this will give you a better understanding of the 3D print to scan process and inspire you to find more commercial applications that can benefit from the use of these technologies. Questions on replicating objects using 3D scanning and 3D printing?